If you are reading this blog, then once again there were foolish folks that believed the world ended a few weeks ago. We should all be thankful we made it out of 2012. 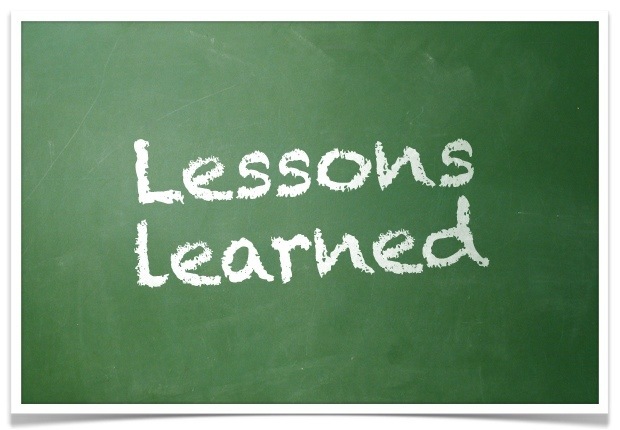 I have to say that I didn’t learn any “new” lessons, but I definitely confirmed some lessons I thought I knew. It’s always good to recap the previous year so that the next year is better. Each year we’re supposed to get better. Life is supposed to get easier. After all we matured didn’t we? Well, I hope that you are enjoying the new year and you are already working your plan of action to make 2013 better than 2012. With that said, here are the top 5 things I confirmed in 2012. I’d love to hear about your list. 1) Read more non-fiction books and watch less TV! This one is a no-brainer. TV is run by corporate America and it is designed for one thing: To get you to buy the ads you see. There is science that supports the ability for ads to reach your subconscious mind. Your spending habits are linked to this. Now before you go thinking that I’m crazy, there is a company called NeuroFocus and they probe consumers subconscious by using Electroencephalography (I’m not smart enough to make up a word like this). The other problem with TV other than being a big waste of time is how your body handles your emotional reactions to shows. For example, whenever you get angry, your blood pressure rises and your arteries take a hit especially among older groups. So when you get so into a character on a show and their actions make you angry, your body doesn’t say, “Oh, you’re just watching TV.” Since your body can’t tell the difference, it handles that situation as if you were really angry. 2) Life is too short so to maximize your time you should spend time letting the people close to you know how important they are to you. Your circle of trust should know who they are. Your family should know they are loved because they heard you say it as well as demonstrate it. You should make sure you are living forgiven meaning that no one should die thinking you have a grudge with them or that you thought ill of them. Be known as a giver and allow others to benefit from your generosity — not just your money, but even more important is your time. 3) Get your house in order and keep it that way. This means that no matter how old you are the people close to you should know your advance directives and your wishes at end of life. We don’t know when our time is up, so it’s always a good thing — no matter how old you are — to have a plan and let those closest to you know what your plan is and the role they play in that plan. If you have done this, every year it’s a good idea to make sure it is current and your wishes are still the same. You want to make sure that the people involved in your plan at the end of life are still willing to carry out your wishes at the end. 4) Everyone needs a day of rest. God rested from his labors on the seventh day and he created us with the idea that we would need a break from the natural rhythm of life to reset. There is an awesome book written by Dr. Marva Dawn called “Keeping the Sabbath Holy” and she beautifully describes this concept and gives a lot of great information on the topic. 5) One of the most hurtful things is to have expectations for someone or something and get let down. It would help us all to remember that in America we make money. That’s what we do above all else. There are some secondary things that we do, but due to big business and politics, our system is flawed. Case in point: Sandy relief was recently left for the next session of congress because there was so much other stuff (like a new roof for the Smithsonian Institute) written into the bill. One would think that a bill with the subject Sandy Relief fund would only include things immediately related to people. I’m sure the Smithsonian probably does need a new roof, but at this point it is at the expense of the Sandy survivors. Our wars are about money and greed. There is an excellent documentary series by Oliver Stone on Showtime that talks about the untold history of the United States. It’s a sobering look at how the world sees and has seen our country over the years. This documentary has challenged me to re-evaluate what’s important to me and to help make America truly beautiful. Make the most of 2013 my friend! Well, it’s June and that means most kids (and some are already out) are wrapping up another school year. It seems like they just started school and now it’s over. I used to get caught off guard every time school ended for the summer. By off guard I mean every year I would say that I wanted my kids to be active and have a fun, educational summer, but I had no idea of what they would do. I was so used to seeing kids go wild over the summer! Teachers even prepare to received these little wild ones in the fall. Someone had to put a stop to this! 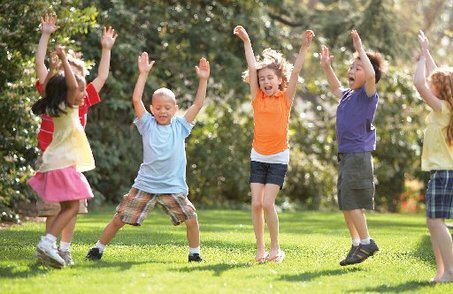 I decided that it was time for my kids to make good use of the summer and as much as I wanted them to be active and have fun, I also wanted them to not stop learning. I wanted them to have fun learning and stimulate their minds as well as their physical bodies. Here is a list of five things that I have used in the past to accomplish this goal. 1) Visit the library weekly — the library is a fun and inexpensive way to stimulate the mind of your child. This is great for the whole family. The library has a full list of activities to enjoy. 2) Take a field trip with the kids once a month and — dare I say — have them do a report on what they learned. I had to pay my kids for this, but they did learn. We went to museums, festivals and even a concert. These become great conversation pieces at the dinner table. 3) Have your children write a reaction paper to the movies they watch over the summer. They can discuss the movies with you and then put their thoughts down on paper. 4) Teach your children about the wonderful fruits and vegetables that come in season over the summer. 5) Cook with your children so they learn how to be self sufficient and they get hands on learning. These are my top 5. You can also make sure they are reading books, they have chores to do regularly and you limited their television viewing. Kids tend to watch more TV in the summer than any other time of the year. More than anything else, make it a summer that they can remember. Don’t forget that you are building life long memories.